This book has 432 pages in it. I would tell people that you should step outside your comfort zone with books because it is good to add more books and genres to your reading portfolio. Even if you do not read books like this. Synopsis: Sara Fitzgerald's daughter Kate is two years old when she is diagnosed with a rare form of leukamaemia. Reeling with the helpless shock of it, Sara know she will do anything – whatever it takes – to save her child. Then the test results come back time again showing that no one in their family is a match for Kate. If they are to find a donor for the crucial bone marrow transplant she needs, there is only one option: creating another baby, specifically designed to save her sister. For Sara, it seems the ideal solution. Not only does Kate live, but she gets a beautiful new daughter, Anna, too. Until the moment Anna hands Sara the papers that will rock her whole world. Because, aged thirteen, Anna has decided that she does not want to help Kate live any more. She is suing her parents for the rights to her own body. Highly gripping, her vivid characters have a depth and tenacity rarely found in blockbuster. This book has been made in to a movie. My sister's keeper is emotionally riveting and will test your tear ducts to the limit – particularly the final, gut-wrenching twist... Picoult tackles a controversial subject head on with a sense of wisdom and sensitivity. If there is only one book you read this year, make it this one. - Daily Express. This astonishing novel is beautifully and thoughtfully written. - Good Housekeeping. Picoult, once again, grabs a razor-sharp issue and uses her brilliantly intricate pen to expose all the shades of grey with perfection. - Cosmopolitan. Review: I found this book really easy to get In to and hard to put down once l started reading it and l was hooked after reading the first few pages. I loved reading this book and it was a really good read but also upsetting that Anna thinks her mother only had her to save Kate and use her to get stuff like bone marrow and organs to help Kate live but that is not the case her mother loves her very much and it is sad that Kate asked Anna to sue for the rights to her own body so Kate can die surrounded by love and her family. Kate and Anna's brother know why Kate asked Anna that. This book has been made in to a movie which l also watched but l read the book first and l would tell people to read the book first also. But l would rather read books then watch TV but sometimes l watch the movies aswell as reading the book and l loved both the book and movie. Sara loves all her children the same and she can not bear to lose one of her precious children which no parent can. No parent should have to bury a child. It was upsetting that Kate did not want to carry on treatment she just wants to live her last days surrounded by her family and love not in hospital. Kate knows her parents only had Anna to save her life and the stuff she needs from Anna's body which Kate does not want. But their mother keeps letting Anna have operations to save Kate and does not listen to what Kate wants. This book is a must read and a must have on any book shelf l am glad l have read this book and it is on my book shelf. I wish l could rate this book more then five stars because it is worth more then five stars and l can not put in to words how great this book is l would tell people to read it for themselves to know how great it really is. About the author: Jodi Picoult, 50, is the best selling author of twenty-three novels: song of the humpback whale (1992), Harvesting the heart (1994), Picture perfect(1995), Mercy(1996), The pact (1998), Keeping faith (1999), Plain truth (2000), Salem falls (2001), Perfect match (2002), Second glance (2003), My sister's keeper (2004), Vanishing acts (2005), The tenth circle (2006), Nineteen minutes (2007), Change of hearts (2008), Handle with care (2009), House rules (2010), Sing you home (2011), Lone wolf (2012), The storyteller (2013), Leaving time (2014), and the YA novels between the lines (2012), And Off the page (2015), co-written with her daughter Samantha Van Leer. Her last eight novels have debuted at number one on the New York's Times bestseller list. Her highly anticipated novel-in-progress, Small great things, will be released this fall as follows: October 11, 2016 (US/Canada), October 12, 2016 (Australia), and November 22, 2016 (UK). She wrote five issues of the wonder woman comic book series for DC Comics. Her books are translated in to thirty four Languages in thirty five countries. Four – the pact, plain truth, the tenth circle, and salem falls – have been made in to television movies. 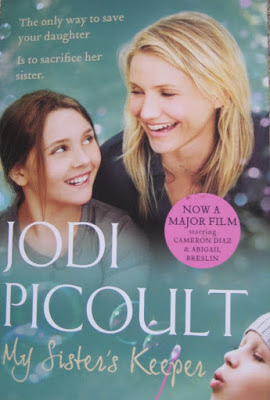 My sister's keeper was a big-screen released from New line cinema, with Nick Cassavetes directing and Cameron Diaz starring, which is now available in DVD. She received an honorary doctor of letters degree from Dartmouth College on 2010 and another from university of New Haven in 2012. Jodi serves on the advisory board of VIDA: women in literary arts, a research-driven organization whose goal is to increase critical attention to contemporary women's writing and to foster transparency around gender and racial equality issues in contemporary literary culture. She is part of the writer's council for national writing project, which recognizes the universality of writing as a communicative tool and helps teachers enhance student writing, and is a spokesperson for positive tracks/children's hospital at Dartmouth, which supports youth-led charity fundraising through athletics. She is on the advisory committee of the New Hampshire coalition against the death penalty. She is also is the founder and executive producer of the Trumbull hall troupe, a New Hampshire-based teen theater group that performs original musicals to raise money for local charities: to date their contributions have exceeded $120k. She and her husband Tim and their three children live in Hanover, New Hampshire with two springer spaniels, two rescue puppies, two donkeys, two geese, ten chickens, a smattering of ducks, and the occasional holstein. Picoult studied creative writing with Mary Morris at Princeton, and had two short stories published in Seventeen magazine while still a student. Realism - and a profound desire to be able to pay the rent - led Picoult to a series of different jobs following her graduation: as a technical writer for a Wall Street brokerage firm, as a copywriter at an ad agency, as an editor at a textbook publisher, and as an 8th grade English teacher - before entering Harvard to pursue a master’s in education. She married Tim Van Leer, whom she had known at Princeton, and it was while she was pregnant with her first child that she wrote her first novel, songs of the humpback whale. About the book: this book comes with two different covers and l really like the cover l got that is the picture l use on this post but there is a different on that is just white with a picture of a woman.